C 214 Stereo Set Press Rel. 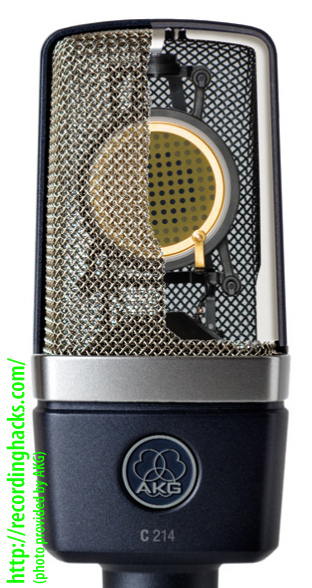 The C214 is a large-diaphragm FET condenser microphone conceived as a less-costly, cardioid-only version of the multipattern C 414B. The mic’s self-noise, at 13dBA, is more than twice as high as the last 2–3 generations of C414 (6dBA). That said, 13dBA is relatively low, and unlikely to cause problems when recording all but the quietest acoustic sources. As in the current versions of the C 414B, the capsule in the 214 is shockmounted within the headbasket, reducing the transmission of ambient vibrations to the microphone capsule. The mic has a -20dB pad and a high-pass filter. 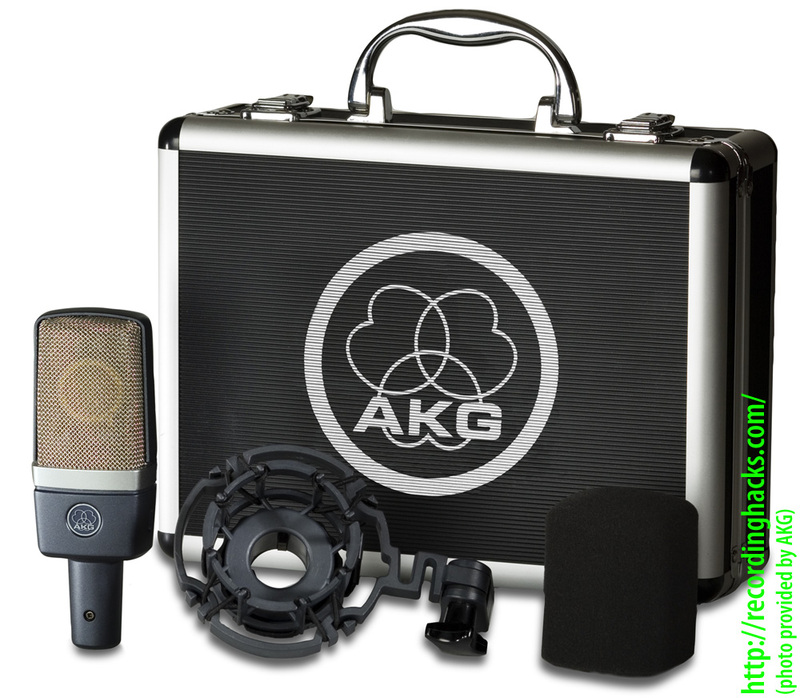 The C214 ships with AKG’s H85 universal shockmount (which fits all mics with shaft diameters from 19 to 26 mm), a foam windscreen (p/n W214), and a hardshell case. The C214 is also available as a “stereo set,” introduced at Winter NAMM 2009. The kit includes two factory-matched C 214 mics, a pair of shockmounts, a pair of stand mounts, a pair of foam windscreens, and a certificate of authenticity, all packed into a foam-lined suitcase. 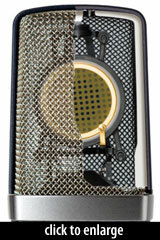 The mic was designed and is manufactured by AKG in its facility in Vienna, Austria. [T]his mic generally inspires confidence… it sounded great in a majority of situations. Of course, the C 214 isn’t all things in all applications, but it excels for acoustic guitar, guitar amp, hand percussion and around a drum kit. 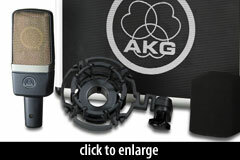 The AKG Acoustics C 214 is also known as: 214.